The 60″ half round Table is the perfect table for accessory items. 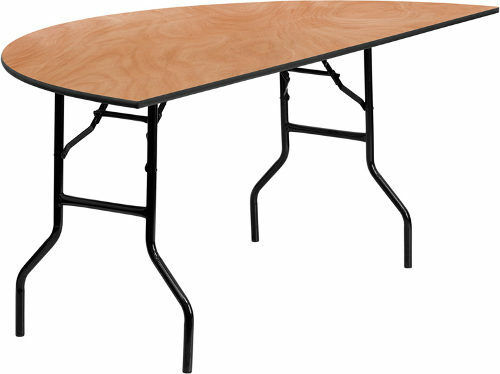 Your cake, gifts, buffet, or displays will look amazing on this table. Whether your throwing a back yard bar-b-cue or seating guests for a wedding, our 60″ half round table is an excellent choice for any event.